Delicious, nutritious, and ready to sample in just two weeks! A fast, fun project. 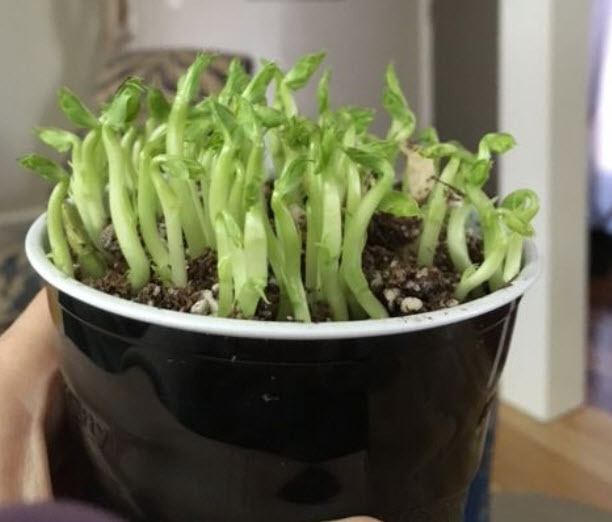 Hint: Dwarf gray peas make a good candidate for edible pea shoots. Follow this link for instructions. SUCCESS! Sprouts of pea seeds planted by Cole and Lila Perry. Photo by Jodie Perry. 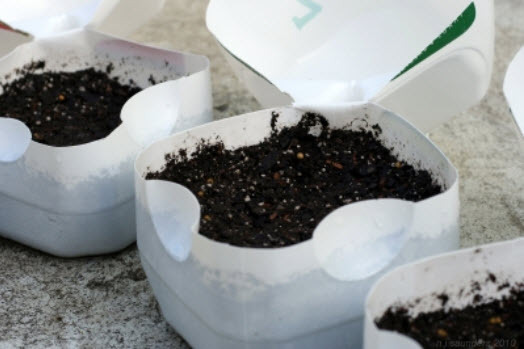 ​Start hardy annual or perennial seeds outdoors in winter in a recycled milk jug or plastic juice container. Follow this link for instructions. FOR OUTDOOR SEED-STARTING: Poke drainage holes in bottom, cut gallon jugs 2/3 of the way down and leave one surface attached as a hinge. Sow seeds into dampened planting medium, use duct tape to seal until germination. (Leave pouring spout uncapped). Planting is fun and easy when you start a wildflower corner or a lettuce patch by tossing a "bomb" or two of seed-filled compost into a garden spot. Follow this link for instructions. 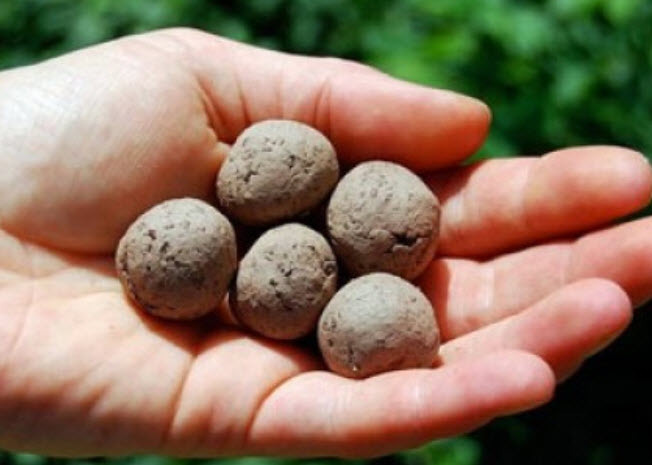 BRIEF HOW-TO: Mix equal parts compost and bentonite clay; add seeds and water; form into ~ 1-1/2-inch balls and let dry.